Doctor Who’s revival in 2005 has given us some of the show’s finest companions, from Bill to Donna Noble. But its revival inspired another medium of Doctor Who to create a TV-series-worthy companion of its own: Big Finish’s legendary Lucie Miller, and years after she left the radio drama series, she’s back. 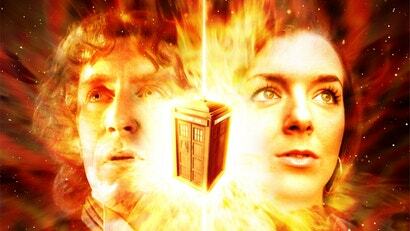 Big Finish has confirmed (via Doctor Who News) that Sheridan Smith — who played Lucie alongside Paul McGann’s Eighth Doctor between 2007 and 2011 — will return to reprise the role for a new season of audio drama adventures beginning in July 2019. Set between the first and second series of Lucie’s earlier adventures with the Doctor, The Further Adventures of Lucie Miller sees the Doctor and Lucie go on four more adventures together: “The Dalek Trap” by Nicholas Briggs, “The Revolution Game” by Alice Cavender, “The House on the Edge of Chaos” by Eddie Robson, and “Island of the Fendahl” by Alan Barnes. Created for a series first known as The New Eighth Doctor Adventures — which wanted to blend Doctor Who’s history of audio dramas with storytelling inspired by then-recently-revitalised TV show — Lucie was, in some ways, Big Finish’s answer to Rose Tyler. A brash young woman from modern day Blackpool, Lucie met the Eighth Doctor after being unwillingly transported into the TARDIS by the Time Lords as part of their own take on a time-travelling witness protection program, which initially lead to a bristling relationship between the two as, like Rose before her, Lucie was not the sort of character who minced their words very often. Bold and outspoken, Lucie quickly endeared herself to the Doctor, forming a delightful chemistry with the usually rather prim and proper Eighth Doctor, and her eventual exit from the series impacted on him in ways few prior companion exits had before. While it isn’t new for Big Finish’s Doctor Who audio dramas to go back in time and revisit unseen adventures with companions past, this new range marks Lucie’s first return since her dramatic exit from the line seven years ago. It’s a delight to have her back in the TARDIS once more. The Further Adventures of Lucie Miller is set to release in July 2019.